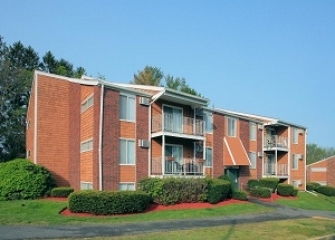 Boston - CBRE/New England’s Capital Markets team today announced the sale of South Winds, a 404-unit apartment community located in Fall River, Massachusetts, for $39.35 million. CBRE/NE multi-housing experts Simon Butler and Biria St. John exclusively represented the seller and procured the buyer Taurus CD 191 South Winds MA LP, an affiliate of Taurus Investments Holdings of Boston. “We are pleased to have facilitated the sale of South Winds on behalf of our client who had owned the community since 2000 as part of a larger portfolio acquisition,” said CBRE/NE’s Butler. Taurus Investment Holdings has continued to develop and execute its multifamily investment strategy. The acquisition of South Winds Apartments represents Taurus’ fourth Boston-area multifamily investment since 2013. Built in 1971, South Winds is comprised of 26 three-story garden style buildings as well as a freestanding clubhouse. The community consists of 404 apartments containing 146 one-bedroom, 218 two-bedroom and 40 three-bedroom units with an average size of 1,008 SF. The community is located just off North Main Street in Fall River and offers superior access to Route 24.